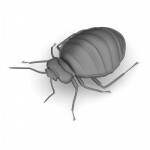 Bed Bugs London | Will Bed Bugs Go Away If I Sleep Somewhere Else? Will Bed Bugs Go Away if I Sleep Somewhere else? If you sleep in another room or on the sofa, the bed bugs from the infested room will follow you there and the problem will spread. If you move out of your room for a longer period of time, the bed bugs will sense there’s no food around and enter a state of dormancy called diapause. If you decide to move out altogether, you are at high risk of taking the bed bugs with you to your new home. We can help to reduce this risk, call us today for free advice.